I recently took a little time off from work to recharge a bit. Recharging for me looks like no agendas and no pressure projects that allow me to use my mind and hands toward a finished project. 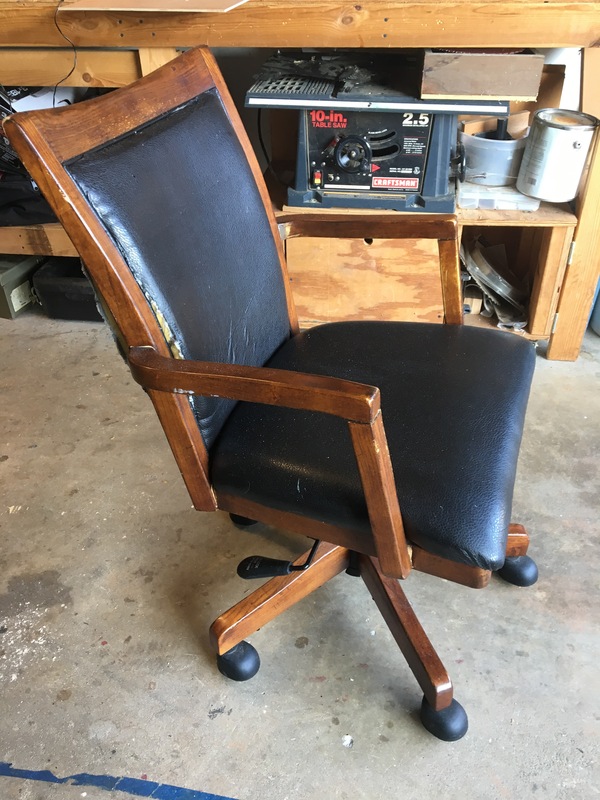 A friend of mine had an office type chair they were fond of but it was looking a little ragged. I took it on as one of my projects for a couple of reasons. 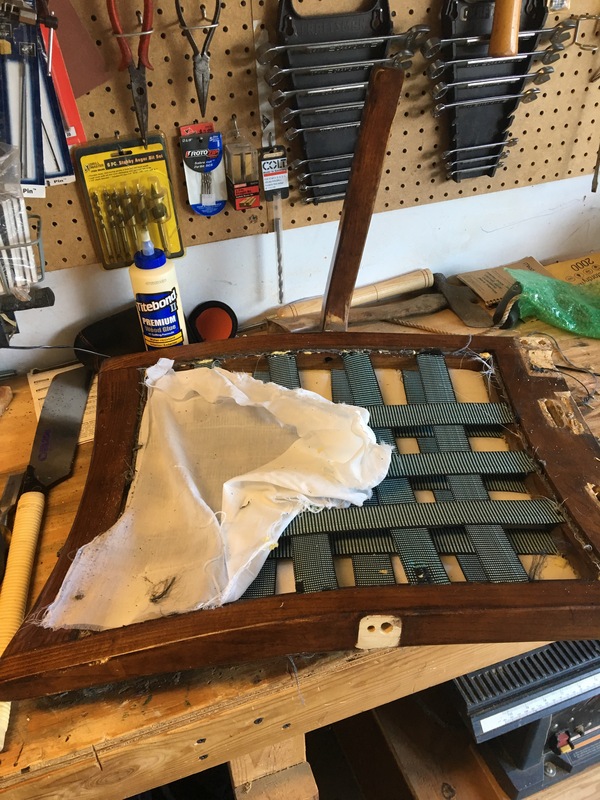 First, I have never refinished a chair so this would be a new experience. Second, since this chair isn’t an antique or anything like that, there was no pressure to get it right. Perfect! 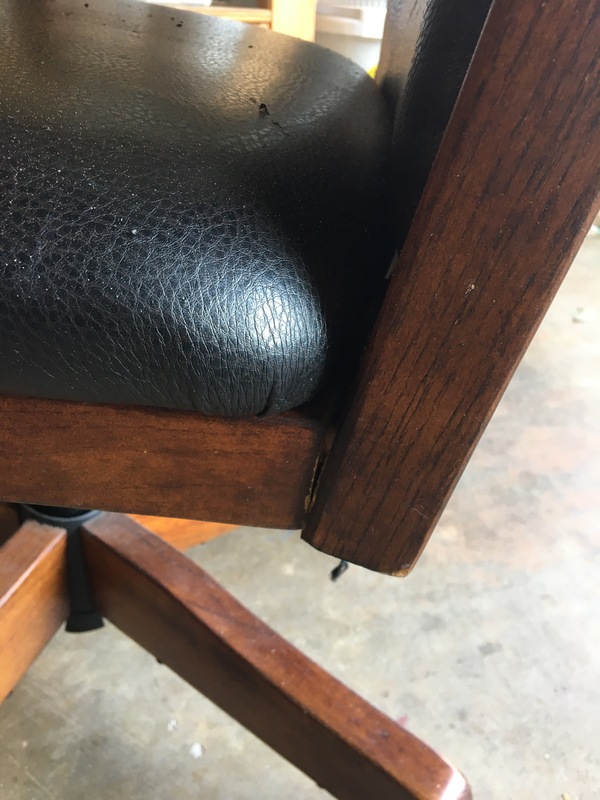 This chair needed more than new fabric, it had some stability issues that would also need to be addressed. The first step would be to dismantle the whole chair and build it back making any necessary repairs. I removed the base and collected all of the bolts and screws in a little container so I wouldn’t lose track of them. I removed the seat cushion and the fabric from the back. 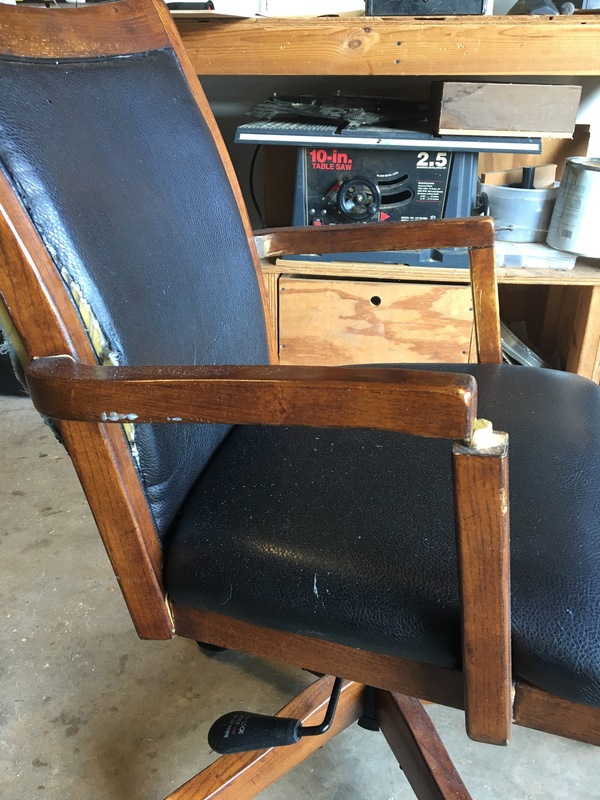 There were some previous repairs done to this chair that I would have to modify in order to give it more strength.